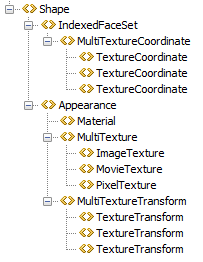 Texture Angle Viewer View a given texture from different angles to judge readability, example use is a QR code. 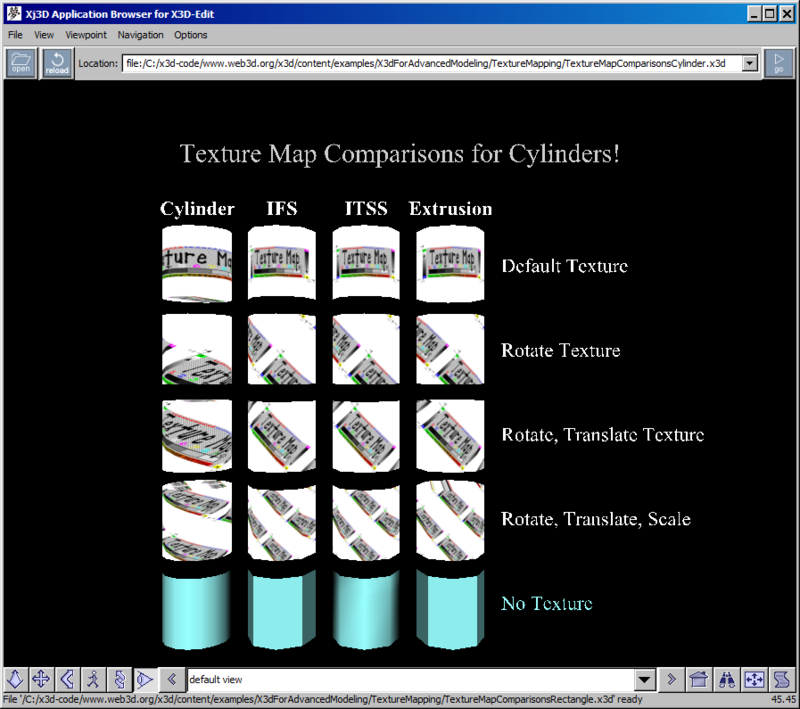 Texture Map Comparisons Cylinder Compare ImageTexture mapping for a variety of geometry nodes. This is an excellent test scene for different X3D browsers. 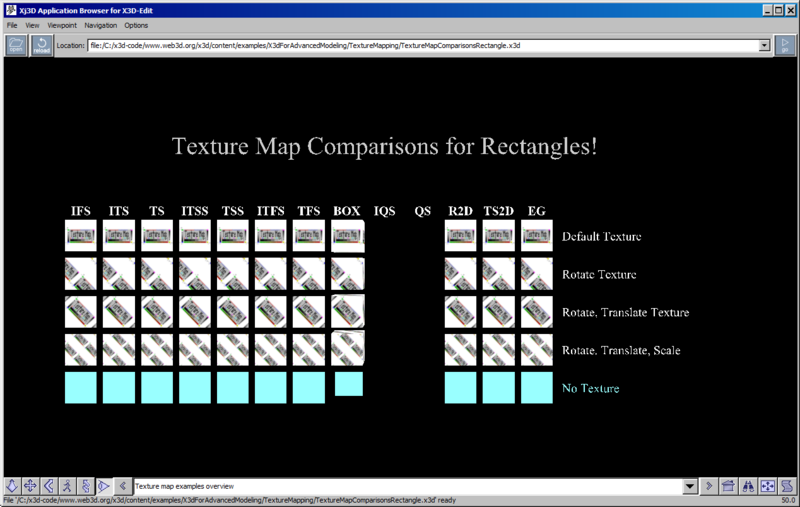 Texture Map Comparisons Rectangle Compare ImageTexture mapping for a variety of geometry nodes. This is an excellent test scene for different X3D browsers.